Connecting a School Around Tables Filled With Fresh Food! Grow more healthy with products from our store and proceeds will help us grow! 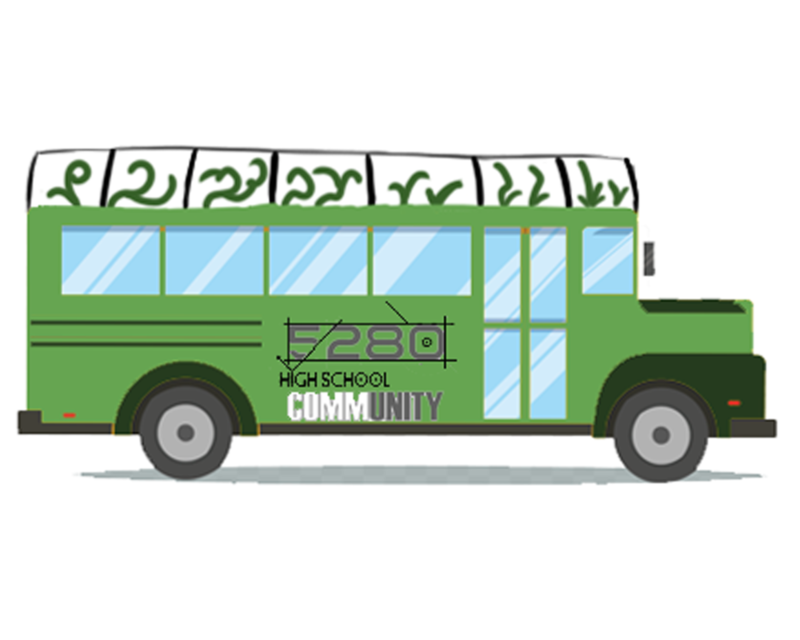 Donate Now to help fertilize our 5280 CommUnity with a bus that provides healthy meals on wheels for our High School and many more places!!! Imagine smelling the most scrumpslydumshish meal you have ever eaten while walking through the front doors of 5280 High School. Right as you step in, you smell a delicious aroma in the air. Then you take a few steps and instantly to your left you see students serving food to their friends, who are chatting away. You don’t even see a single student alone or on their phones, because they are engaged in talking to one another while consuming a delicious meal they all had a part in making. Yep, that’s right, they were all able to do what they were passionate about. What you can see is a kitchen that grows the fresh food right beside it. You even overhear some of the chefs asking other students eating to plant more kale, carrots, and cucumbers due to only having a few more left in the garden. Do you know how big that little act of being connected with others is? In case you have not heard, there used to be this super close-knit CommUnity in Roseto, PA where they too had those very same connects. It’s called the Roseto Effect and it turns out to help humans be physically and philosophically healthier. The town of Roseto when studied back in the ’60s had NO crime, suicide, or addictions and subsequently, the people lived 30% longer on average than the typical American at that time. Now, how do you think we could cross-pollinate this idea with more schools? Show you support today by donating a dinners worth and get your name on the supporters page of the student made E-Cook Book plus a unlimited downloads. 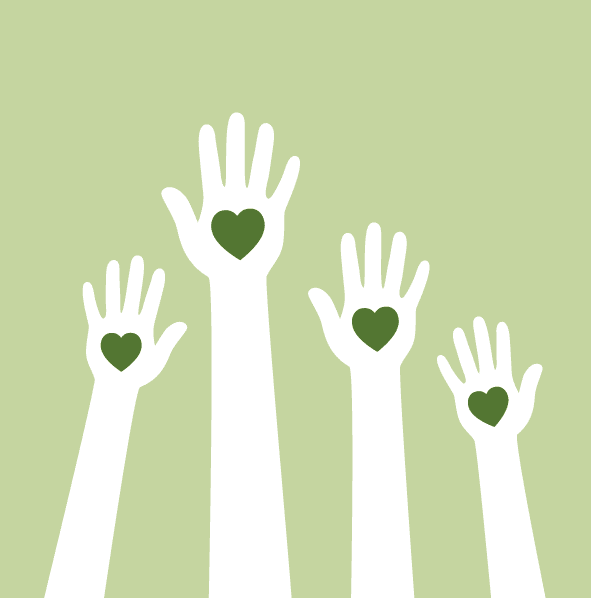 Help Cross Pollinate our CommUnity with yours by sharing! 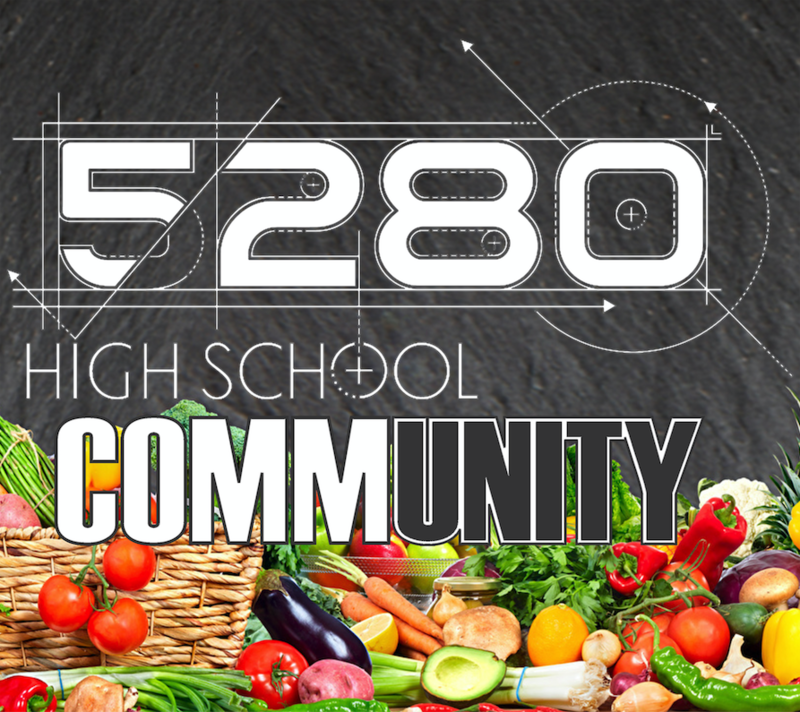 Sign up with your email address to receive a FREE E-cook book created by The 5280 Students with healthy recipes made with ingriendients that could be grown!